New Delhi: To improve transmission of power across the country, India plans to connect all regional grids into a national grid by 2014. Of the five regional grids in the country—northern, southern, eastern, north-eastern and western—all except the southern one are interconnected. “By 2013-14, all the grids will be interconnected for synchronous operations," said power secretary P. Uma Shankar. “A national grid will help in meeting power demands across the country by seamless transmission of power," said another government official, requesting anonymity. The average frequency of the northern, eastern, north-eastern and western interconnected grids this fiscal year is 49.86Hz; the southern grid’s frequency is 49.8Hz. Grid frequency is a critical aspect of power system operations. Global standards require that grid frequency be kept close to 50Hz, but power-short India has had a history of frequency fluctuating from below 48Hz to above 52Hz, which led to innumerable grid collapses in the 1980s and 1990s. The huge potential for thermal power generation in the East and an equally large hydropower potential in the North-East have necessitated the development of a national grid. Since the national grid will enable faster trades in power sales, it will reduce costs, some of which may be passed on to consumers in the form of lower tariffs. The government is spending ₹ 1.4 trillion to build the national power transmission grid that will increase the country’s inter-regional transmission capacity to 32,000 megawatts (MW) by 2012 from 23,800MW now. Of this, ₹ 75,000 crore is needed for regional and national grids. A national grid will also help towards interlinking countries of the South Asian Association for Regional Cooperation (Saarc), which groups India, Pakistan, Nepal, Bhutan, Bangladesh, Sri Lanka, Afghanistan and the Maldives. The Saarc grid envisages meeting electricity demands in the region, as well as boosting economic and political ties. India already has power grid links with Bhutan and Nepal, and plans to develop power transmission links with Bangladesh, Myanmar and Sri Lanka. India has a power generation capacity of 182,345MW and plans to add 100,000MW during the 12th Plan period (2012-17). India’s central transmission utility—Power Grid Corp. of India Ltd (PGCIL)—operates 86,000 circuit kilometres of transmission lines. Rural load dispatch centres (RLDCs), which fall under the purview of PGCIL, are responsible for maintaining grid discipline and supervising optimum scheduling and delivery of electricity in their regions. The country has 33 state load dispatch centres, five RLDCs and one national load dispatch centre. Sub-stations are an important part of the electricity network and play a critical role in the generation, transmission and distribution system. 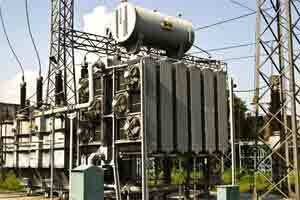 They increase or decrease the electricity voltage for transmission and distribution purposes. The 116 major sub-stations that are responsible for the flow of power across states fall under the purview of PGCIL.